All For You… ~ Creator, Jennifer Farley. 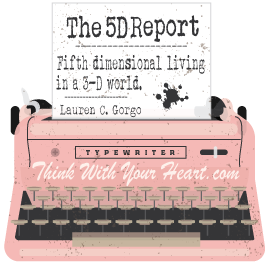 You may believe that the changes within will come with great flashes of light, booms of insight and staggering moments of enlightenment…that is not always true. The most profound moments of your growth come in small, quiet ways. There is often a gentle shift if your perception that, in one moment, will change your life and its direction forever. It is not necessary to feel each one. Just knowing that, with every breath you take, a miracle is happening, and it is all for you, my love. If you remember the name of the author or the keyword try the link below in lowercase letters. Awaken to the Perfection that is You. Resurrected Son: The Fountain of Youth. ~ Lauren C. Gorgo. On the surface that may seem unfriendly…nightmarish even…but the real reality is that this IS the arrival of our spiritual Self in form and it demands divine order…needs clear/pure space to inhabit. Our Source Self will tolerate nothing less than total Truth and in this process (of embodiment), it canlook and feel excessive…even harsh and unyielding. But the truth is that we are always gently and subtly supported to shift…until we are shoved. If we are not getting the memo…if we are resisting or escaping ANYthing…if we are caught in a delusion…falsifying any aspect of life or self…ignoring the undercurrent (or tidal waves) of emocean…the messages only get louder and the vehicle to deliver those messages → denser. February 5th Time To Reset. When is it going to lighten up? ... I have good news! And step up and step forward into a bright new beginning more authentically shining your inner light and truth. P.S NEW Livestream Channeling for members coming up this Saturday at 11 AMPST! 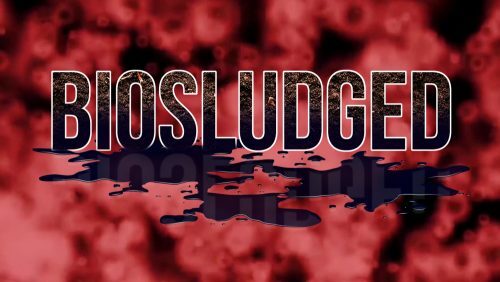 Exposed: Toxic biosludge spread on food crops is contaminated with RADIOACTIVE medical waste ~ Ethan Huff. Exposed: Toxic biosludge spread on food crops is contaminated with RADIOACTIVE medical waste. January 30, 2019 by Edward Morgan.